By the death of Howard Mountjoy Hallett on 15th May, 1958, in his eightieth year, the Society lost one of its most enthusiastic members and valuable servants. Though he was born in South Devon, his family moved to Cardiff when he was only about four years old and he spent by far the greater part of his life in Wales. He became a member of the Council of the Society as far back as 1906, and was President during the session which saw the outbreak of the First World War; he also served the Biological and Geological section long and faithfully. For many years he acted as the Society's Librarian and Editor, and it was as the representative of the Society that he served on the Court of Governors of the National Museum of Wales, which also appointed him to the Museum Council. His earliest contribution to the Society's Transactions, published in 1912, was a list of the Aculeata Hymenoptera of Glamorgan, in which he recorded 139 species. The fact that his list in Vol. 1 of the Glamorgan County History (1936) numbered 317 species is some indication of his activity in this field during the intervening years. He was a keen field entomologist and was in touch with naturalists of similar interests in all parts of the country. He published in the Transactions papers on various orders of insects over the years, as well as being responsible for the annual notes of general entomological interest. 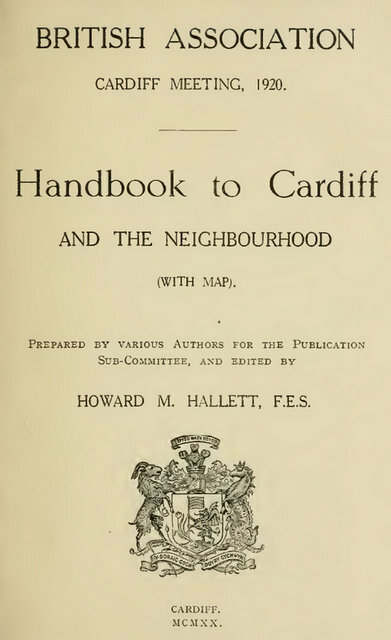 The close contact which has always existed between the Cardiff Naturalists' Society and the National Museum was well exemplified in Mr. Hallett. Apart from his services abovementioned, as representative of the Society on the Museum's Court and Council, the Museum is indebted to him for the gift of his fine series of about 3,500 specimens representing well over 400 species of Aculeate Hymenoptera, as well as a great deal of other entomological material. The Hymenoptera were arranged and incorporated by Mr. Hallett himself, along with other collections in the same group, in the Museum's study collection of British Hymenoptera, and he also prepared a Guide to the collection which is now in its second edition. Howard Mountjoy Hallett, who died on the 15th May, age eighty years, was elected to the Society in 1912. While his business career was connected with shipping (apparently, he was an accountant) and with the export of coal, he was throughout his life a keen naturalist with a special interest in the Aculeate Hymenoptera. And there is a summary of his involvement with the National Museum of Wales in the BCG Newsletter Vol. 2 No. 8 where not only his own work, but some of his collaborations are documented. Hallett's contribution to the National Museum of Wales was much more extensive than the number of specimens (11,500) in his collection would suggest. He was responsible for much of the entomological part of the Faunistic Survey of Glamorgan publishing his results in the Transactions of the Cardiff Naturalists' Society and editing the same section of the County History of Glamorgan Vol. 1. He carried out a considerable amount of curatorial work arranging three of the six main reference cabinets (A. F. Griffith above prepared the two Lepidoptera cabinets). His main interest was Aculeate Hymenoptera of which he made a collection of 5,000 specimens from Herefordshire and Glamorgan. 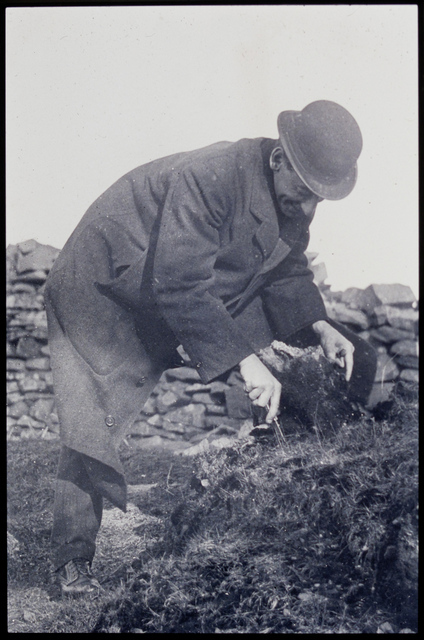 He also collected Coleoptera (4,800) and Hemiptera (1,500) extensively. 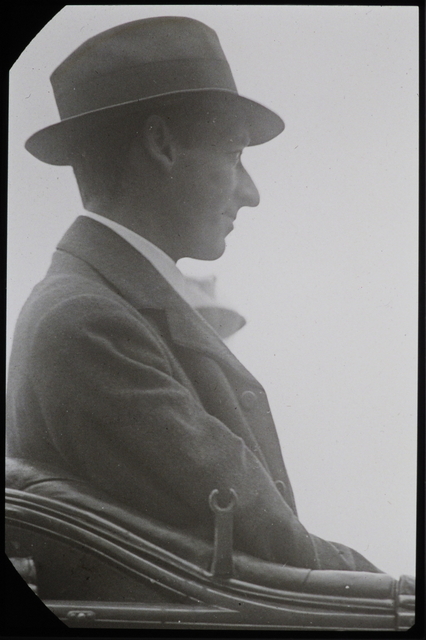 Apart from virtually being the Museum's honorary entomologist from 1912 to 1935 when he moved to Herefordshire, he also prepared indices to the collections and Published Welsh Records. Hallett had a full-time job in a shipping office in Cardiff and lived in the coastal town of Penarth about 5 miles away.